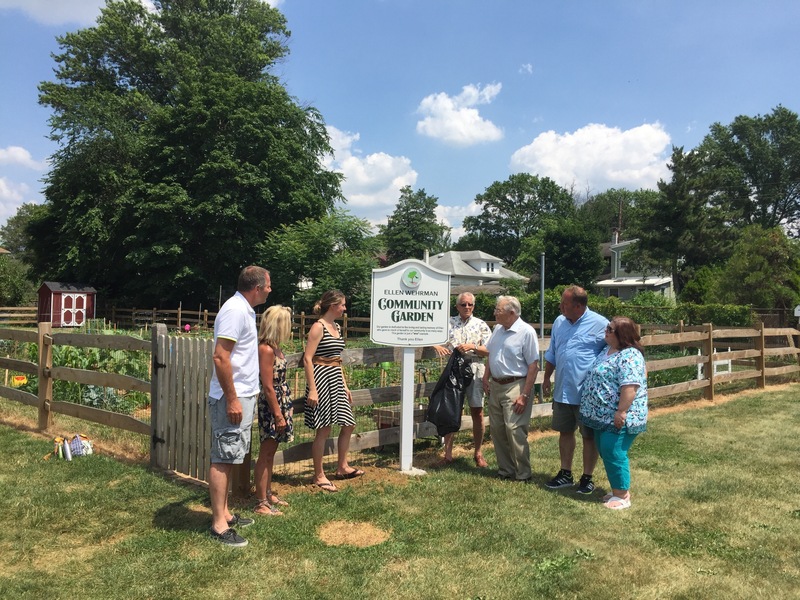 Bordentown City’s first Community Garden is planted and blooming…and now dedicated to the memory of one of Bordentown’s most beloved residents, Ellen Wehrman. Members of the Wehrman family, the community and the Environmental Commission helped place the permanent sign and dedicated the blossoming garden. If you are interested in a plot for 2017 you can email bordentowncitygreenteam@gmail.com. For a “fly-over” video of the garden click here to see how all the plots are growing, and views of the water supply, the compost area, and shed.